Where “self-discipline” creates a fun, meaningful and fulfilling life on your terms. Live Your Best Self-Disciplined Life! If you want to develop a tough mental-edge to your personal success and live life on your own “best-self-disciplined” terms but have loads of fun along the way…you’ve come to the right place! You won’t find lightweight, empty platitudes here! The generic fluff you see on social like, “everything in moderation, dream big dreams”. They sound helpful but will doom you to mediocrity. Instead…what I offer is straight from the heart, no-nonsense, real-world practical solutions, resources, techniques and tools for a strong mind, body, and life! 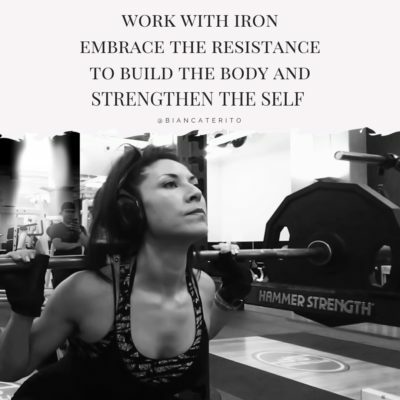 Sharing with you ideas, resources, and recommendations that I have refined over the past 20+ years (over, half my life on this planet) – living a purposefully sustainable fitness and well-being lifestyle. As well as common pitfalls to avoid – from someone who has personally and professionally been there and done that! You’ll find topics on living a sustainable fitness lifestyle, wellbeing, travel, self-care, self-discipline, and mindset. Where I offer you the kind of “walk the walk” and “talk the talk” wisdom – the kind of personal power and insight you earn through blood, sweat, tears. My motto is “Strong Mind, Strong Body, Strong Life”. If this resonates and you want to learn more from me? Get on the list – you’ll receive short, but powerful “behind the scenes” tools, techniques, BS-free resources and thoughtful, tough-love updates, for your mind, body, and emotional wellbeing. Fitness, wellbeing, and lifestyle tips for a strong mind, strong body, and a strong life! Have questions or business related inquiries?